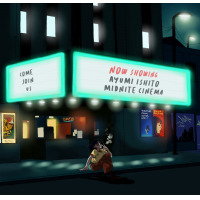 Jazz news: Experience Midnite Cinema With Ayumi Ishito April 26th & Come Out To The Release Party May 17th! 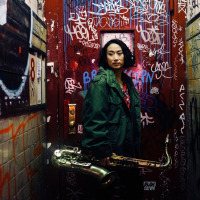 The free-spirited sounds and remarkably progressive structures that shine throughout Brooklyn-based artist Ayumi Ishito’s music are a stunning reflection of her life-long love for the true magic of jazz. From the first moment that Ayumi began to lead and compose music with an extraordinarily gifted & talented surrounding group of musicians that would become her official band in 2011, every step they’ve taken together since has been a solid step forward in the name of their art, craft, and creativity. Through their collaborative efforts and complementary styles, they’d go on to refine their colorfully expressive sound into a gorgeous set of imaginative & sonically-adventurous music and melodies to form Ayumi Ishito’s debut album, View From A Little Cave, in 2016, and together, they broke through to the next-level. Inspired by the love & support from fans all over the globe discovering their wildly imaginative style of music and connecting with the beautifully artistic & avant-garde ideas composed by Ayumi and played so passionately from her tenor saxophone—Ishito & her band immediately went back to jamming, writing, improvising, experimenting, and soon enough, recording a whole new set of entirely organic material. Embracing the true nature of Jazz and going where the music would take her, Ayumi drew inspiration from listening to Progressive/Indie Rock & Free Jazz artists/bands, and through other mediums, like watching late-night Horror/Sci-Fi movies, which played a more pivotal role in her creativity, becoming the source for the name of her brand-new album being released on April 26th, 2019—Midnite Cinema. To celebrate the event, Ayumi Ishito and her band are performing at Nublu Classic in NYC on May 17th at 9:00pm and unveiling the songs from Midnite Cinema LIVE at the official release party—and YOU are all invited! Excited to share a whole new set of vibrantly innovative music that’s designed to move the mind, body, & soul—join Ayumi Ishito and her amazing musical cohorts as they put a modern twist on a timeless style, with refreshing passion that proves they put genuine thought & heart into every beat & sound you hear. Be a part of an authentic revolution in sound—get Midnite Cinema April 26th and be at Nublu Classic on May 17th!